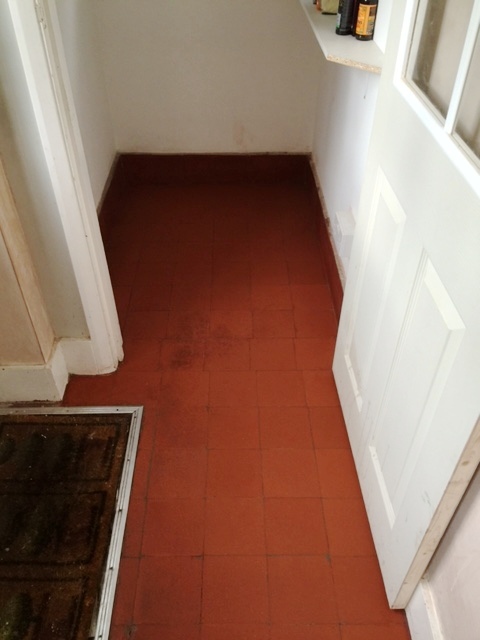 This customer from Woking had a Quarry tiled kitchen floor that she simply didn’t think could be restored. 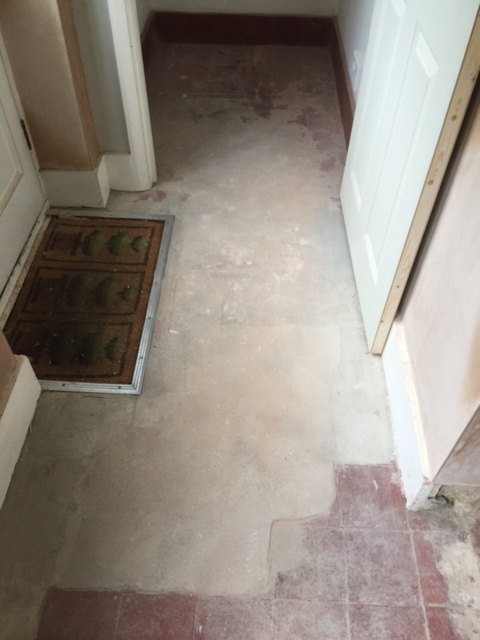 The floor had been unearthed after many years of being covered by a layer of levelling compound cement and then linoleum. 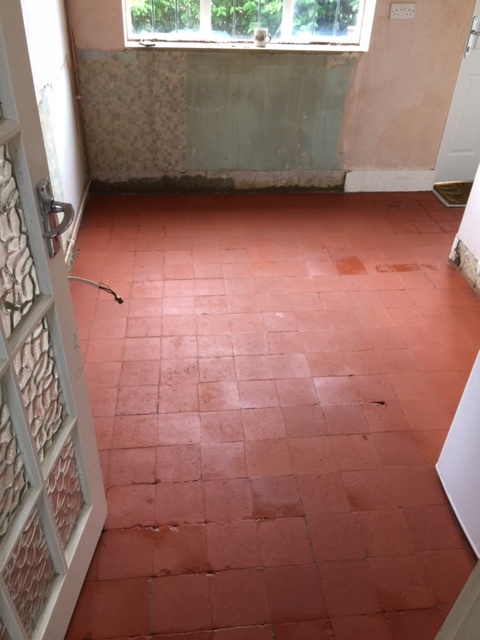 Indeed, the situation certainly looked dire, but I carried out a successful test clean on a patch of the floor where the cement was at its thickest to show that it would be possible to conduct a full restoration. Having seen the results, the customer was more than happy for me to get the work underway. To begin the restoration, I soaked small sections with water and Tile Doctor Remove and Go our heavy duty coatings remover. The solution was left to dwell for a short period to soften the cement, before I used the heat from a steamer in combination with a hand scraper to begin lifting away the muck. As you can probably imagine, this was an arduous and intensive process which took a full four days to fully complete. 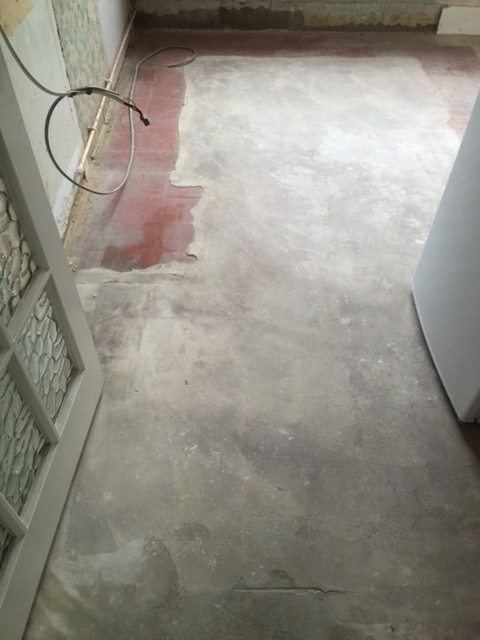 Next, I cleaned the cement-free tiles using our high alkaline tile cleaning product Tile Doctor Pro Clean diluted 1 part cleaner with 3 parts water. This helped to eradicate the leftover muck once I had removed the bulk of the cement. I then sprayed Tile Doctor Grout Clean Up onto the grout lines and tiles to fully neutralise them and also remove any cement residue. Finally, I steamed the floor and left it for a week to dry out completely. Upon my return to the property I sealed the floor with two coats of Tile Doctor Colour Grow, an impregnating sealer which really enhances the natural colours stone, and four coats of Tile Doctor Seal and Go, a topical sealer which provides a high quality sheen finish and durable protection against stains. 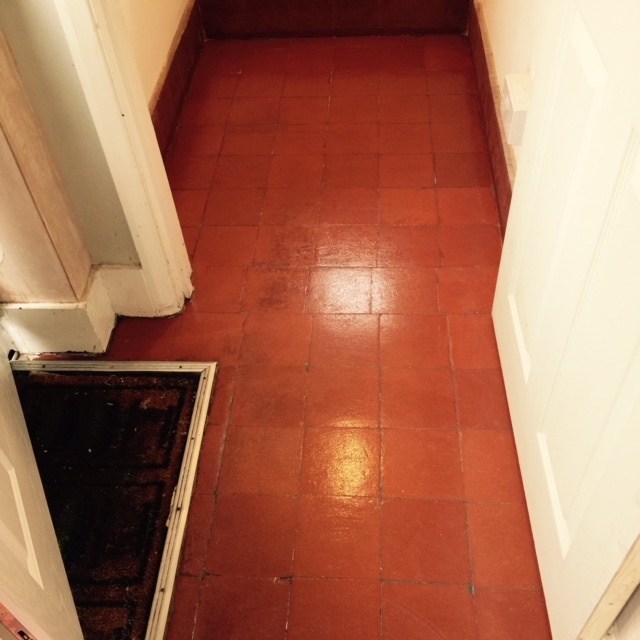 This entry was posted in Work History and tagged kitchen, Quarry Tiles, tile cleaning, tile sealing, water closet, west surrey, woking by AbzDominise. Bookmark the permalink. 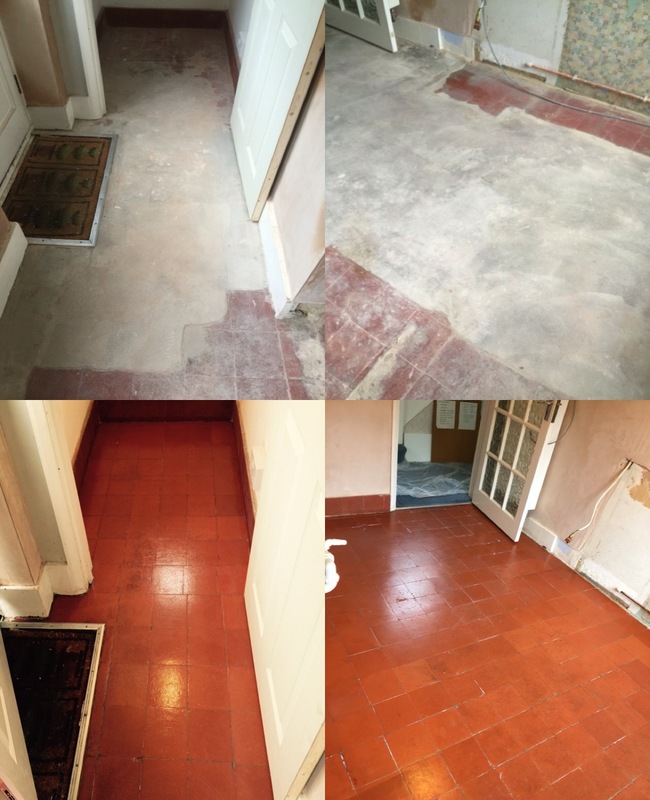 Wayne White is an agent of Tile Doctor, the largest Tile and Stone cleaning network in the UK who have developed the products and techniques to handle a multitude of issues surrounding tiled flooring including stone and grout.